"Lawn & Leisure offers you name brand products at guaranteed lowest prices. 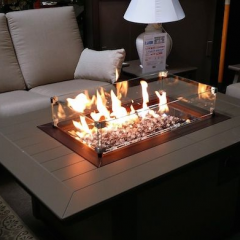 Patio Furniture, Deck Furniture, Outdoor Grills, Gas Barbecue, Sunrise Spas, Systems and Accessories. Since 1982, we have served the Northern Virginia - Maryland - Washington DC area with courteous and knowledgeable salespeople."